Finishing your basement can often double the livable square footage of your home. 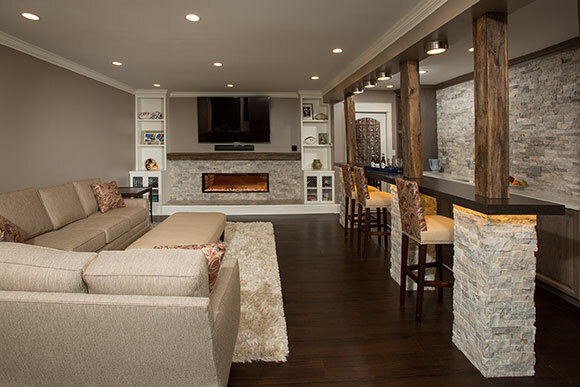 And that’s just for starters… The difference between plain drywall and this inspired basement remodel for example, is stunning. 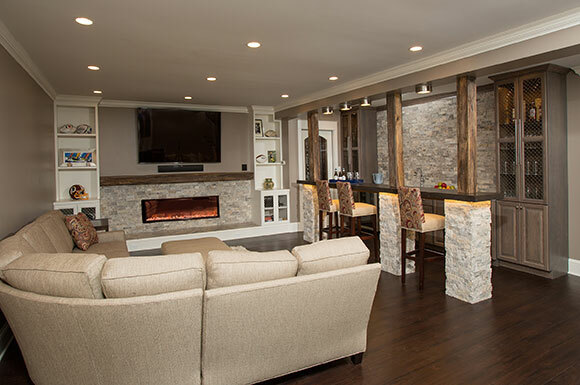 We added a bar that includes reclaimed wood and accent stone, a gas fireplace, and a media center to create a cozy, inviting and exciting space for the family to gather. 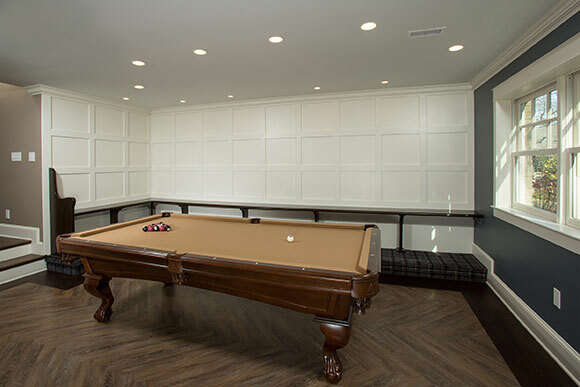 The wainscoted pool table area features plenty of elbow room to play without bumping a wall. Note the lean to bench along the back for beverages as well as a step-up area to separate observers and participants. 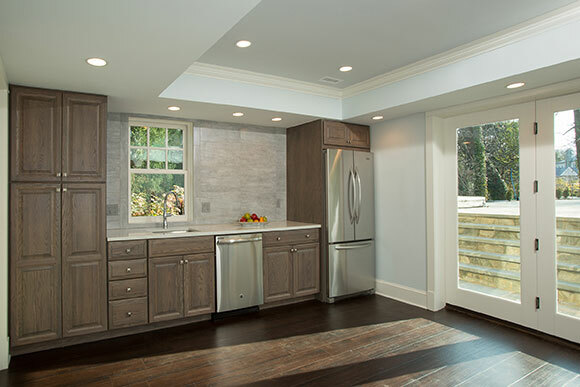 A sleek kitchenette leads out to the patio and pool.